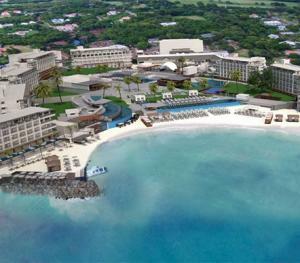 Discover Smugglers Cove, a spacious, village-style resort located on 45 acres of lush tropical gardens. 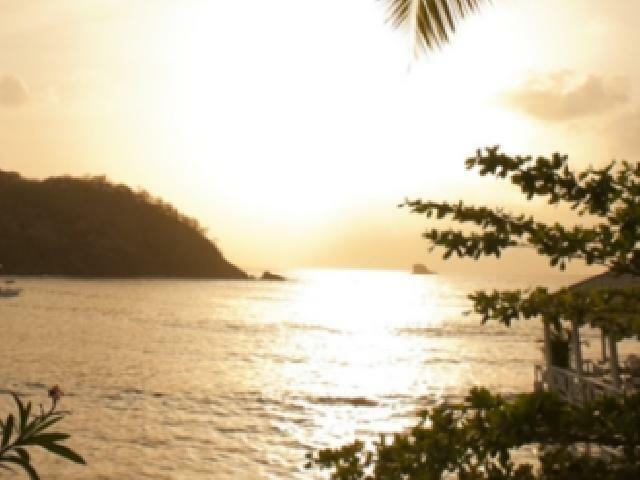 Located on Cap Estate, on the North Western Tip of St Lucia on its own secluded cove, this resort offers an array of activities, accommodations and more. Follow cascading pools down to the volcanic sandy beach or enjoy challenging water sports, Racquet Club facilities and ocean view al fresco dining at this all-inclusive resort for singles, couples and families. An extensive daytime and evening entertainment and activity program ensures that all guests enjoy a great vacation. 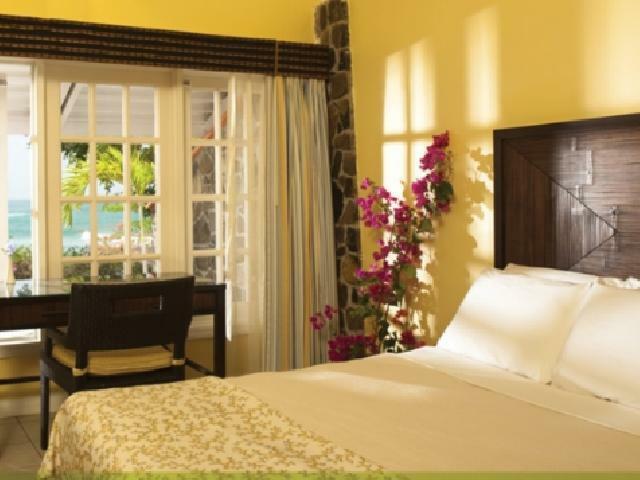 Located on the Northwest Coast of St. Lucia on Cap Estate and across from the St. Lucia Golf Resort & Country Club. Smugglers Cover is village-style resort located on 45 acres of lush tropical gardens. 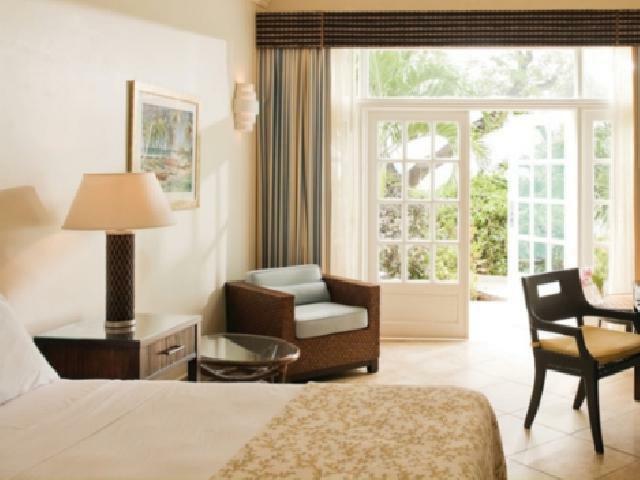 With 357 rooms, all located in single-story buildings surrounded by forty-five acres of lush tropical gardens, Smugglers Cove Resort & Spa offers a choice of five types of attractive rooms and spacious suites. A gourmet all inclusive dining experience with unlimited meals at a selection of four restaurants offers unique dining experiences including our very popular Italian, Pan-Asian and Creole Seafood restaurants, and regular theme nights such as a traditional Caribbean Beach Barbeque. At Smugglers Cove, all will find their niche. Enjoy snorkeling, windsurfing, sailing, kayaking, banana boat rides, water skiing and free green fees at the nearby St. Lucia Golf & Country Club. (Limited to three free, 18-hole rounds per seven-night stay - compulsory cart fee charges apply.) The hotel has its own Racquet Club, which is equipped with seven tennis courts, a squash court, a fitness center and destination spa offering various services (at extra cost), including massages, facials, detoxifying juices, manicures and pedicures. There is a glorious stretch of beach with sun loungers. Live entertainment is offered nightly. There are five freshwater swimming pools, of which one is reserved exclusively for adults over 16 years of age. The Kids Club has been designed to provide educational fun to children from newborns to teens, keeping them happily entertained with playgrounds, kiddie pools and fully equipped activity centres. Their qualified staff allows parents to relax and enjoy themselves while their little ones are supervised and well looked-after. Childrens programs include a Nursery for Infants 0-23 months, a Mini-club for children 2-4 years, Kids Clubs for Children 5-12 years and a fully equipped Teen Center for ages 13 years and over. Babysitting is available at an additional charge. All restaurants serve breakfast, lunch and dinner. There is a choice of five bars, including a swim-up pool bar, all serving premium brand drinks, cocktails and soft drinks as part of the premium all-inclusive program.